Custom Projects | Custom Iron Railings | Nassau County | BOBCO Ornamental IRON Inc. If you're looking for expert services for iron railings, fences, or gates, then you have come to the right place. With years of experience in the industry, Bobco Ornamental Iron can provide you with expert services for a wide array of projects, including wrought iron railings. Below you will see a number of completed projects. Use them as inspiration, but know we specialize in custom work, too. We can install quality exterior iron railings and fences for your home. For many across Long Island and New York, it can be difficult to find a contractor you can trust. Especially one you can trust for custom iron railings and fences. At Bobco Ornamental Iron, we can custom make elegantly designed fences, gates and iron railings. With our years of experience, we have the know-how and expertise to craft a beautifully-made custom iron project that fits its desired location. We will work closely with you to ensure your vision is completed. Our exterior iron railings and fences are second to none in the area. 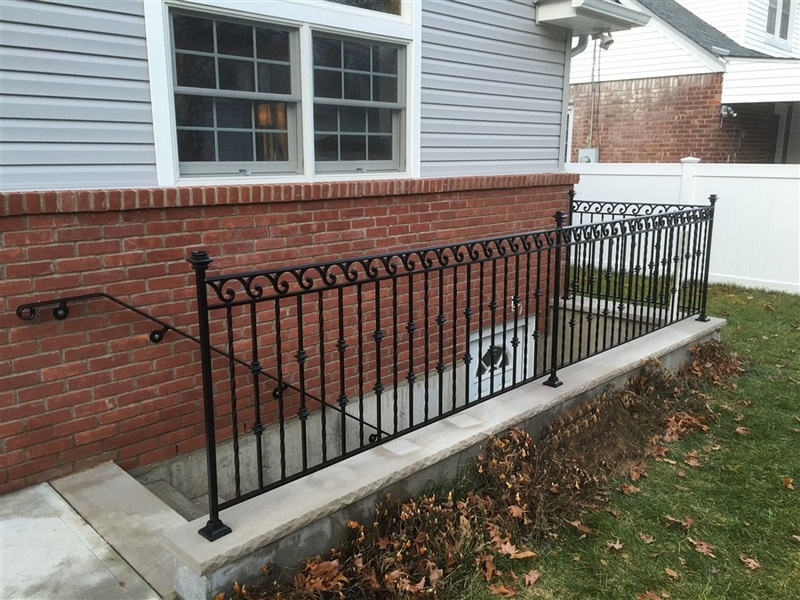 Bobco Ornamental Iron has years of experience providing clients in New York and Nassau county with trusted and reliable ironwork services. From gates, to railings, to fences, we have the techniques able to create a wonderful new look to your home or building. If you're interested in any of our installation services, please contact us today. You may call 516-354-4158 or send us an email. We will gladly assist you with any questions you may have. We can also provide you with a free estimate for our work, as well.